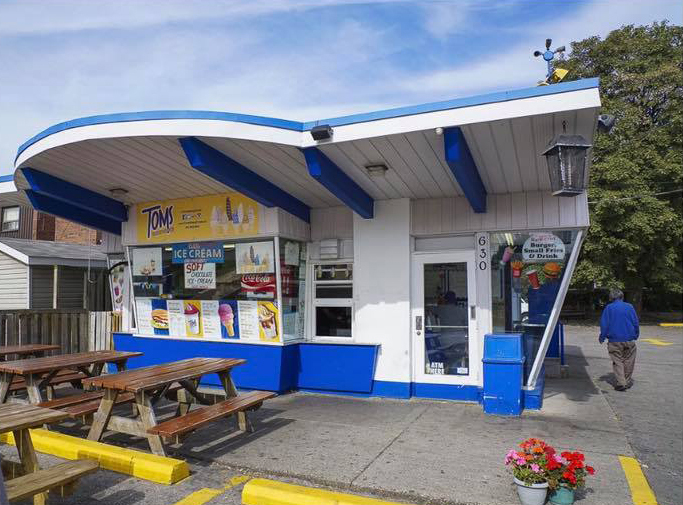 Tom’s Dairy Freeze opened in 1969 and hasn’t changed very much at all since then. 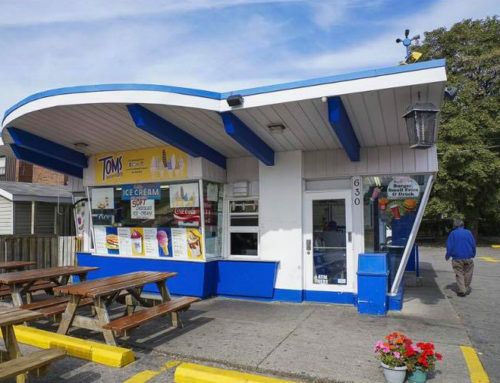 Tom’s has that late-night drive-in feel; parking spots all around, picnic tables with blue umbrellas, and a low front window from which to place your order. 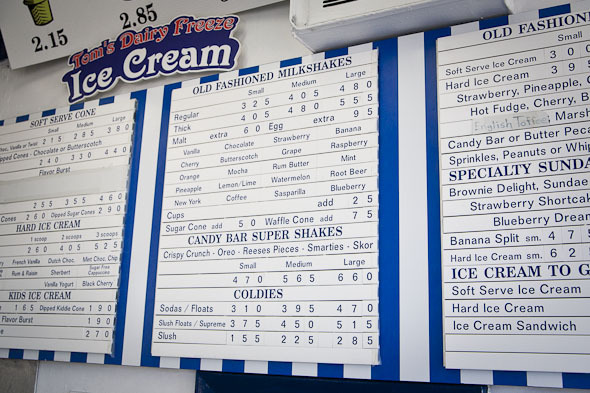 And your order, for that matter, will likely elicit a little nostalgia itself. 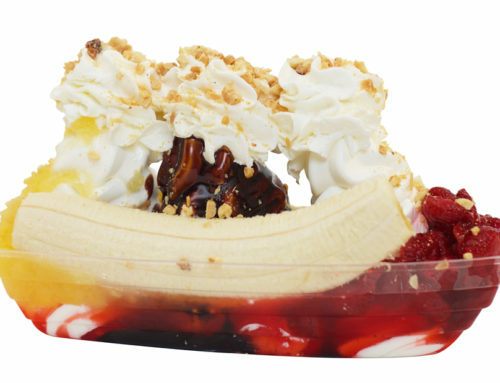 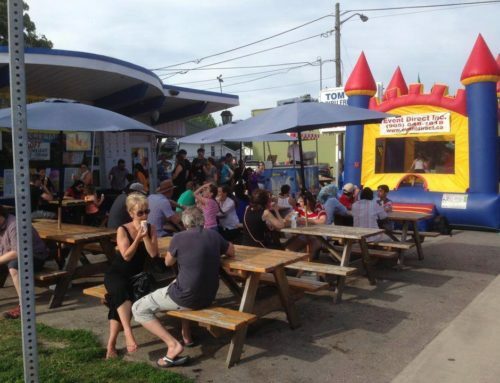 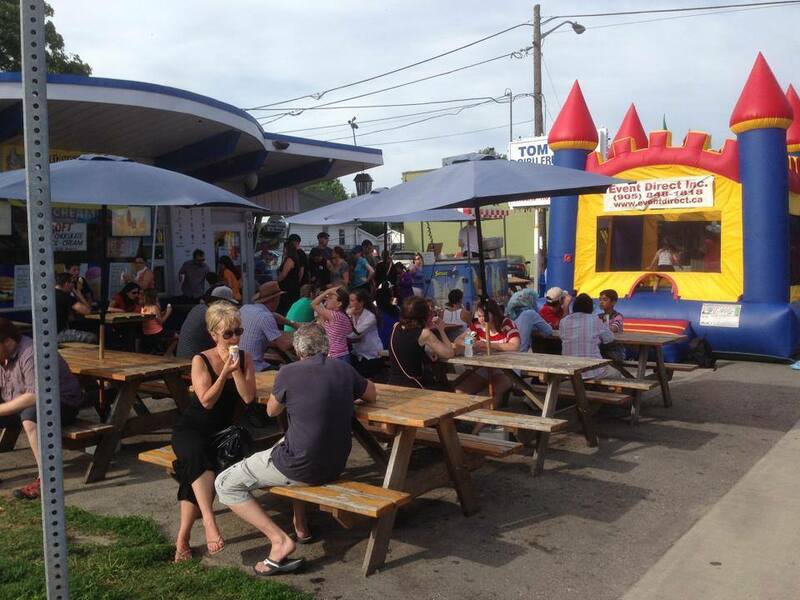 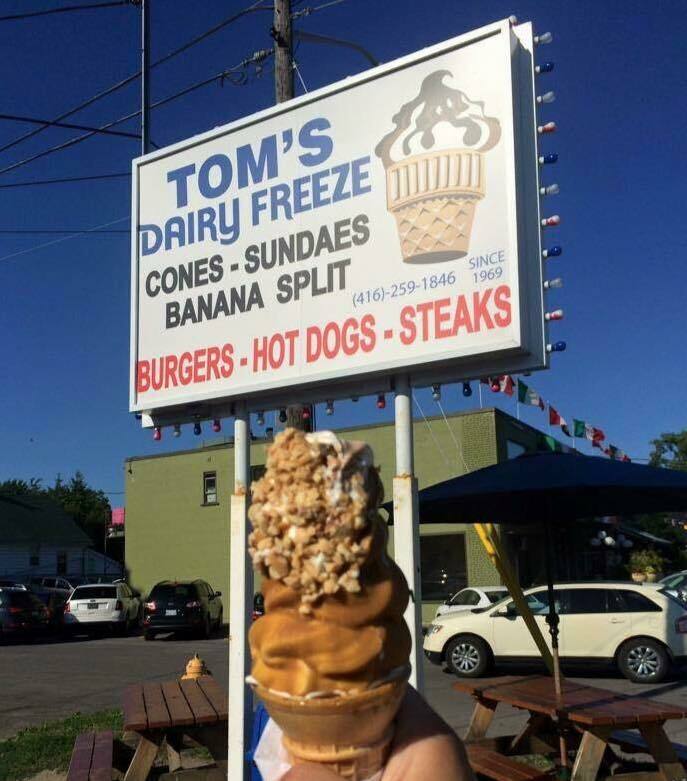 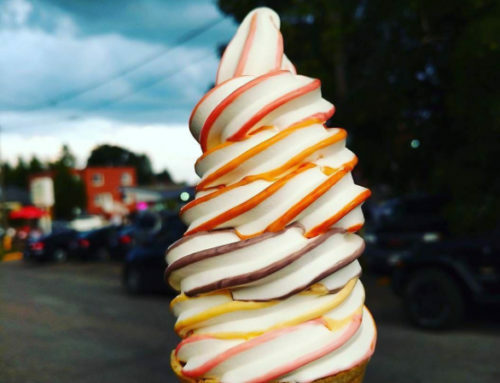 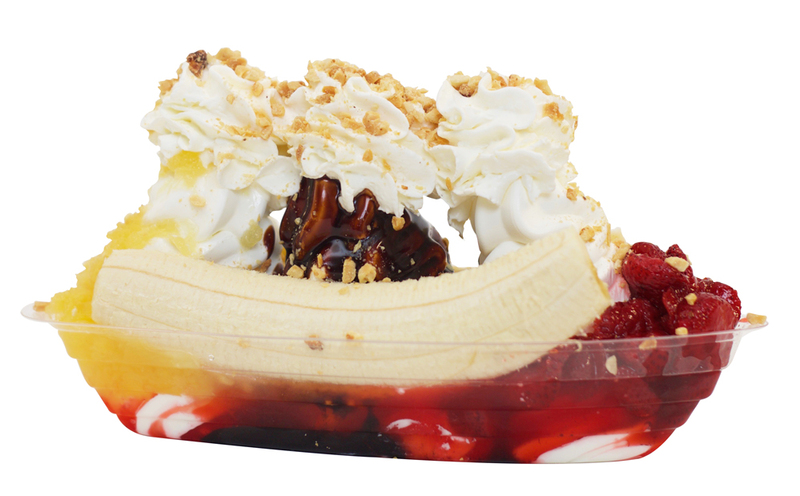 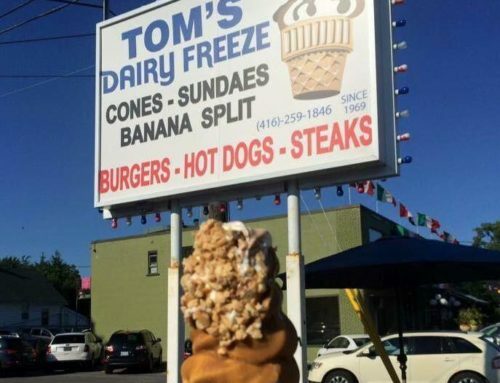 You can opt for one of Tom’s homemade burgers ($3.30) with freshly cut fries ($2.25), a milkshake in one of countless available flavours ($3.25), or go for the favourite–a soft serve cone in vanilla, chocolate, or vanilla/chocolate swirl ($2.15). 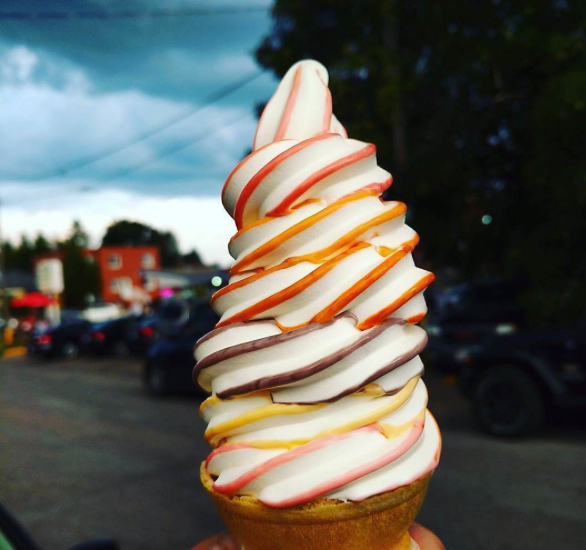 Click here to read the full article on blogTO.